WHO CAN COBORROWER IN A VA LOAN? Often when veterans seek out the benefits of a home loan from the U.S. Department of Veterans Affairs, they are not alone. They may want to bring on a co-borrower to help finance their home purchases and pay for the mortgage. In these cases, veterans should carefully look at the eligibility requirements for co-borrowers and whether they should partner with someone else to secure their houses. Who qualifies as a co-borrower for a VA loan? Spouse of the veteran. Often couples look to buy a house together, which naturally leads to both spouses wanting to have their names on the loan applications. 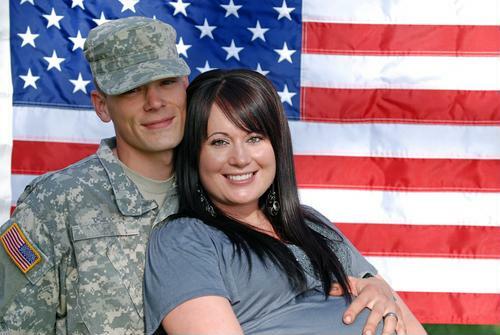 For VA loans, like for regular home loans, a spouse can qualify as a co-borrower for a loan. A veteran who will cohabitate the home. Another option is to talk with another veteran who also fulfills the eligibility requirements for VA home loans. This other veteran can become a co-borrower if he or she intends to live in the same house as the main borrower. Before veterans decide whether they will bring on another person to apply for the loan, they should consider their and their prospective co-borrowers’ current finances to determine whether they are compatible. Lenders may be hesitant to lend money if the co-borrower does not have the means to pay for a loan in case the prime borrower is unable to or if he or she does not meet the definition of the usual co-borrower. The VA noted that a co-borrower will be required to continue paying off a loan if a veteran dies before the loan is completely paid off. Although potential home buyers may have known their co-borrowers for years, it’s important that they check their co-borrowers’ credit scores to see where they stand financially. Veterans can ask the co-borrowers what their scores are and whether they have any negative marks that could weigh on lenders’ minds during the approval process. When applying for a loan, the lender will have to verify income for the borrowers. Veterans should ask the co-borrower what his or her income is and for him or her to provide documents proving this before having everything ready to hand over to lenders. As veterans go deeper into the loan application process, they can contact Alex Romo @ Federal Savings Bank, a veteran owned bank, to learn more about what they need for approval. Call me today! I will close your VA Loan in 30 days! 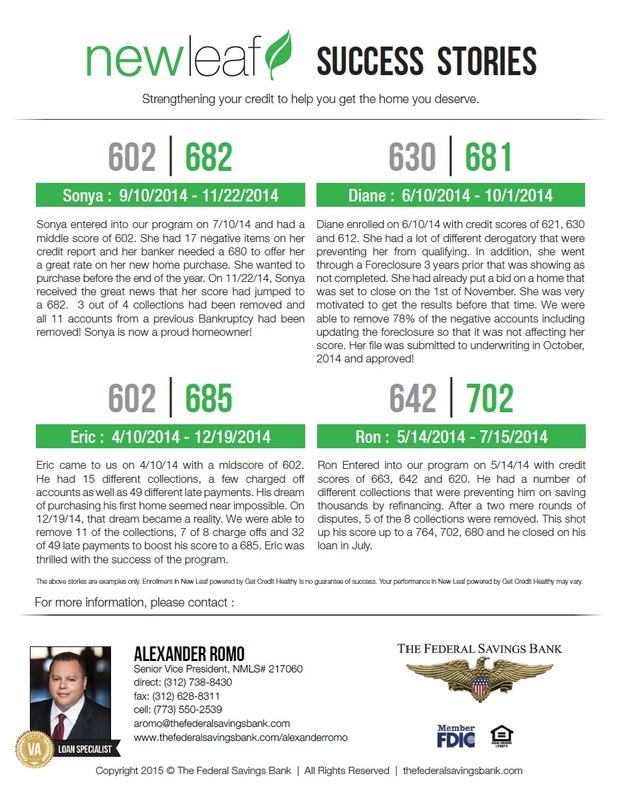 With my exclusive program, I can help improve your credit so you can purchase that dream home! Since I have launched this program 2 yrs ago, we witnessed extraordinary results instantly! watch my quick video on this awesome program!